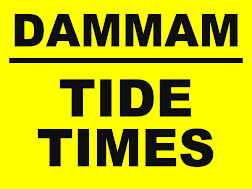 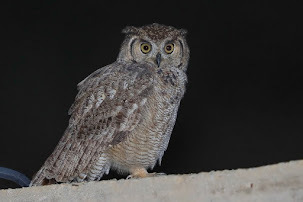 Phil and I set off from Dhahran at 02:30 hrs to go to Thumamah a location just north of Riyadh. 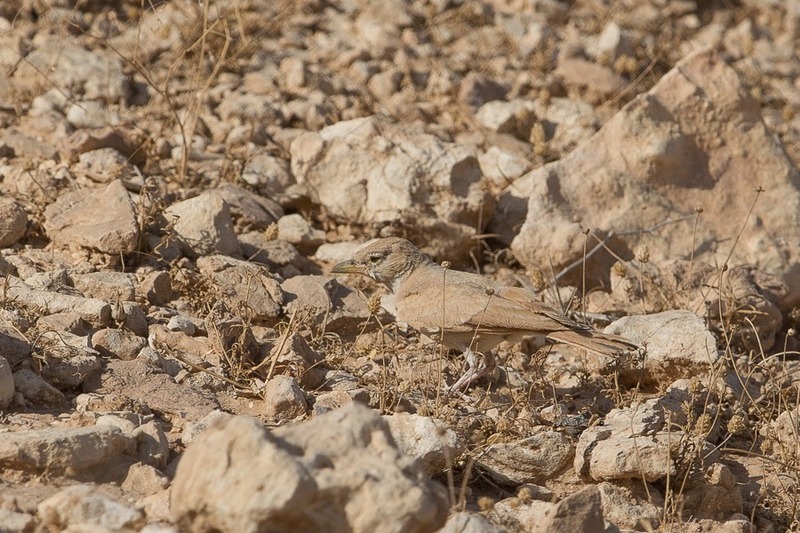 The journey took over four hours and we were in search of larks. 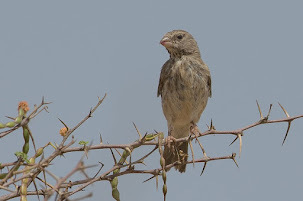 We went as there was very little in the Eastern Province and the ‘patch’ had had nothing for a few days and we had not had much luck looking for Larks in the north of the Eastern Province on previous trips. 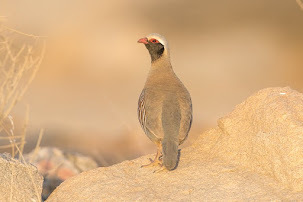 I had seen on Brian James website that he and Lou Regenmorter had seen Thick-billed Lark, Bar-tailed Lark and Temminck’s Lark at Thumamah a month previously and as it sounded like there were a few good birds and many species we do not see in the Eastern Province at this location we decided to go and do a days birding there. 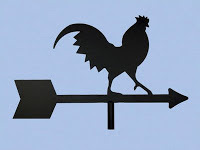 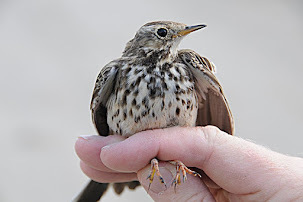 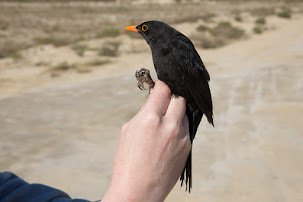 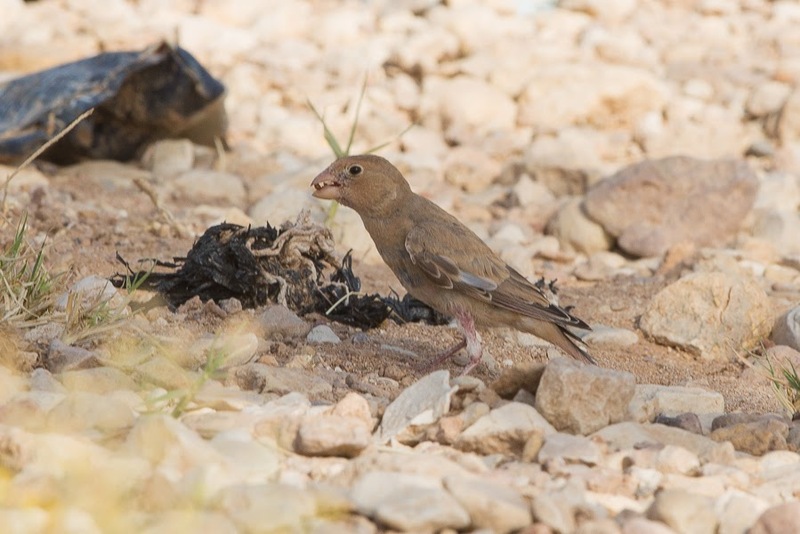 I would like to thank Lou for sending us the grid reference of where he had seen the Thick-billed Larks and we soon found the wadi where they had been seen. 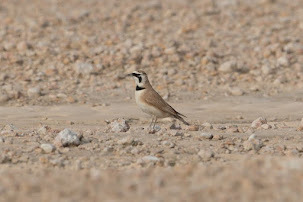 It was already 07:00 hrs and we set off walking the wadi looking for the larks. 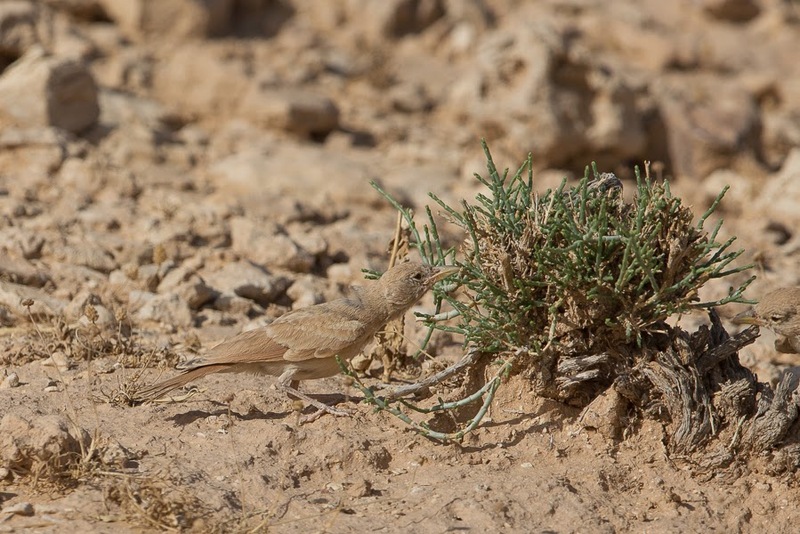 Immediately we located a number of Desert Larks, that were a sandy brown colour rather than the whitish birds we get in the Eastern Province and over the next couple of hours we located at least 20 Desert Larks. 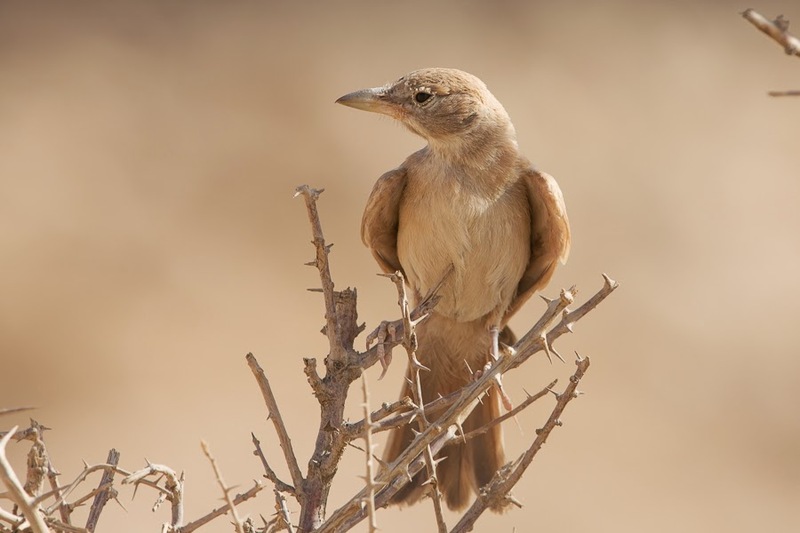 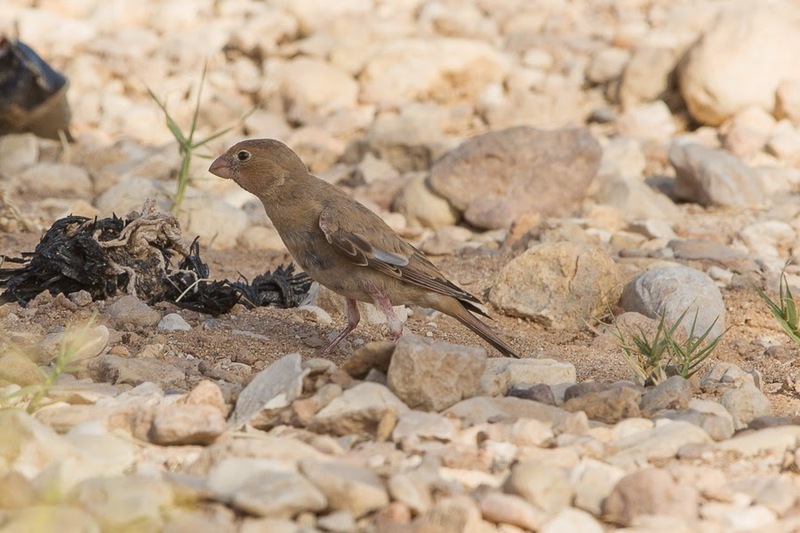 A small party of Bar-tailed Larks then put in an appearance, a new Saudi Arabian bird for me that was quickly followed by another new species in Trumpeter Finch. 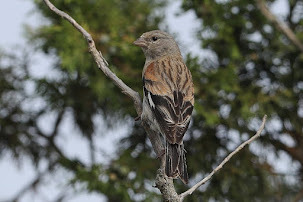 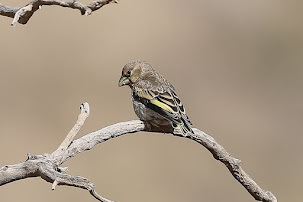 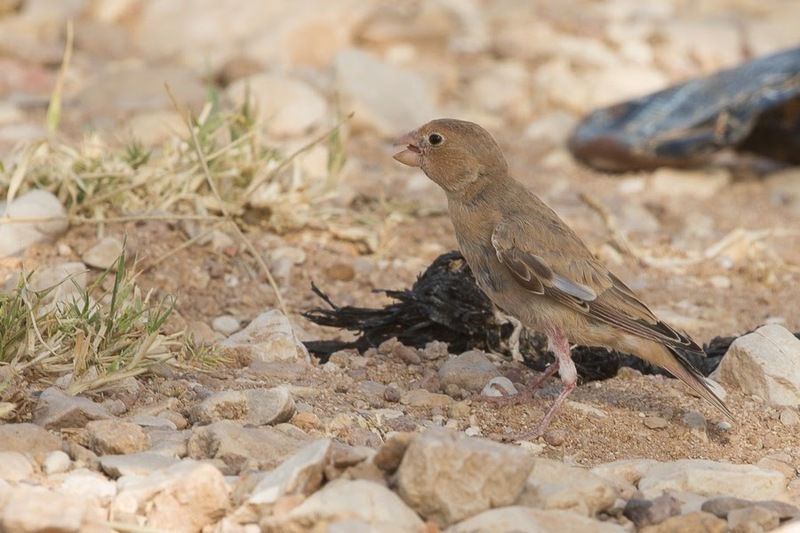 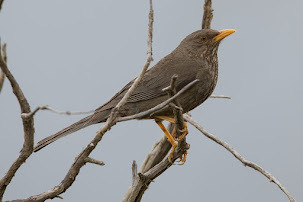 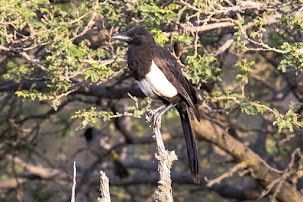 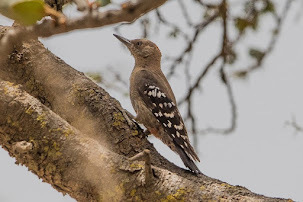 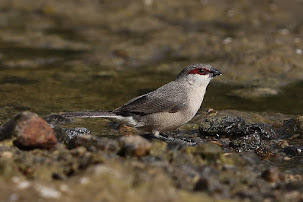 There were well over 100 Trumpeter Finches seen during the day with most keeping to the shade of the trees when the temperature rose above 35 degrees Celsius. 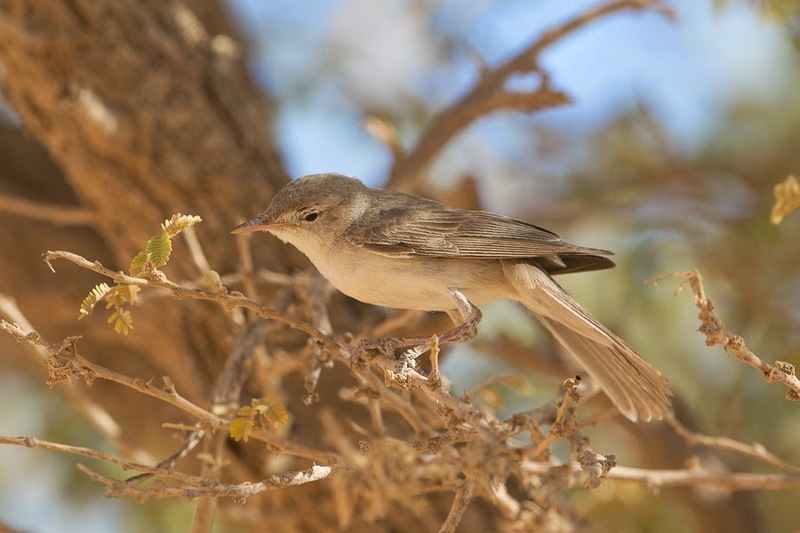 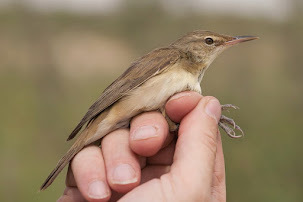 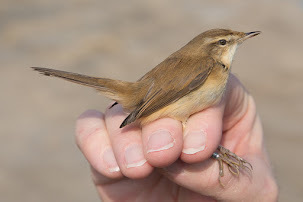 Several Eastern Olivaceous Warblers were in the trees along with five Blackstarts, three White-crowned Wheatears and a Little Green Bee-eater. 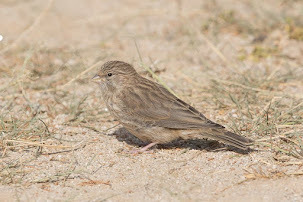 After a lot of walking and the temperature rising we still had not seen either Thick-billed Lark or Temminck’s Lark. 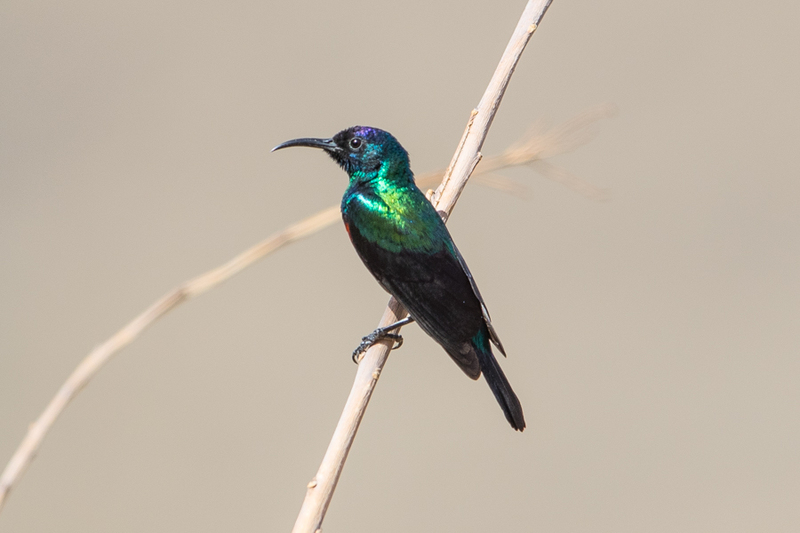 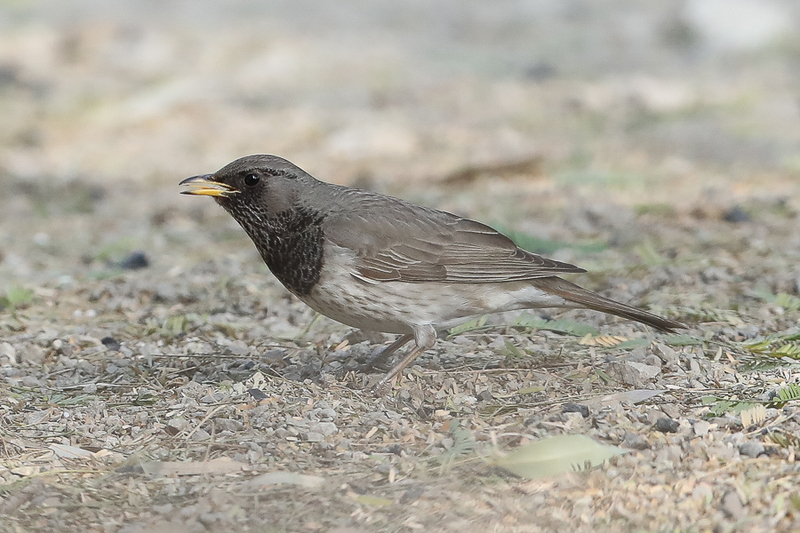 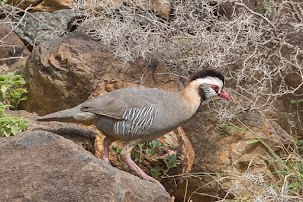 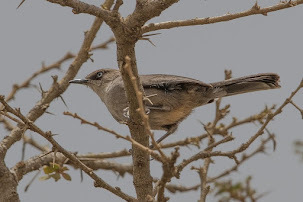 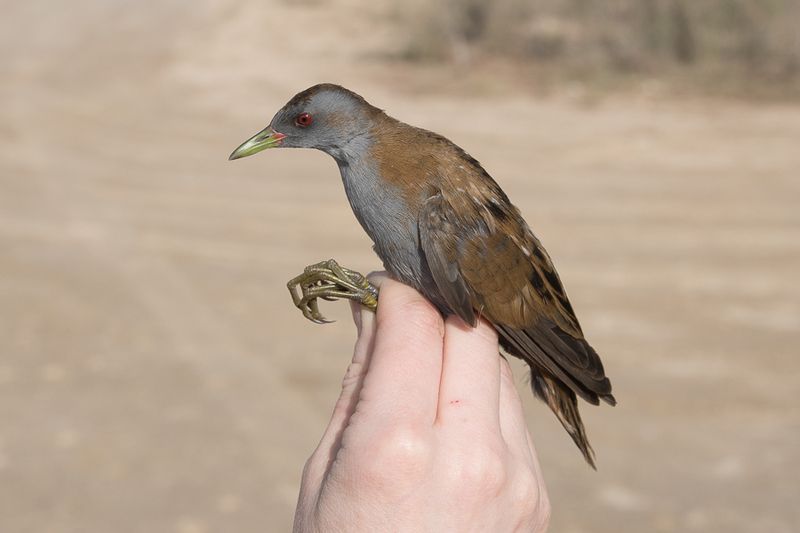 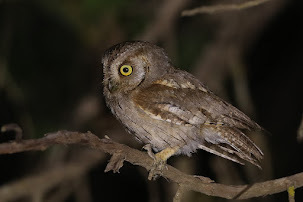 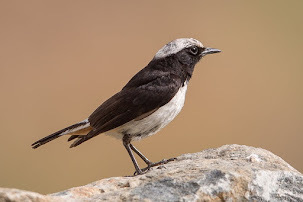 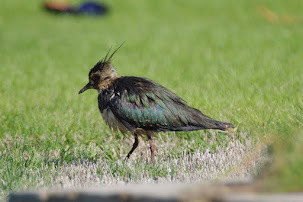 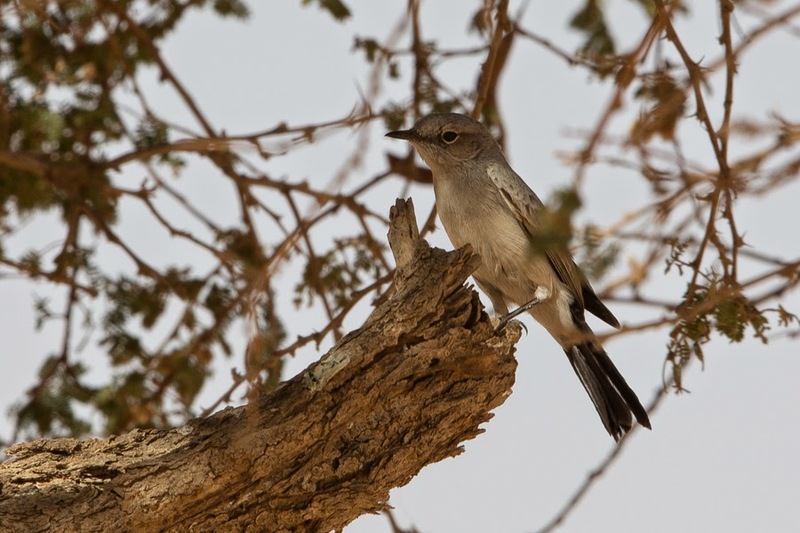 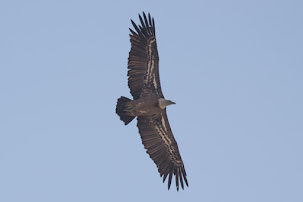 After a drink and a rest we moved across the road to another small wadi where I will tell you about my third new species in Saudi Arabia for the day in the next blog.